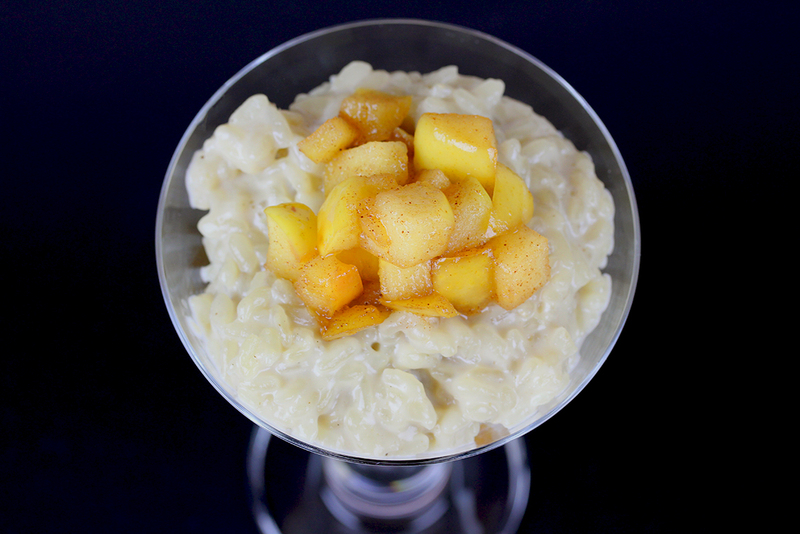 This is the classic recipe for creamy rice pudding, topped with a cinnamon apple mix. When I was young(er), I used to eat rice pudding for lunch from time to time. Today, I eat it about 2 times a year … usually as some kind of dessert in the evenings. It’s a bit sad, I don’t get to cook/eat it more often, but anyway … I’ll have some today (and tomorrow) :)! Overall, this is a very easy recipe. And since you only have to stir the rice occasionally while cooking, it can be considered as a relatively quick recipe as well (since you may do other things while the rice cooks :)). Be sure to use short-grain rice for this recipe to get a creamy texture. 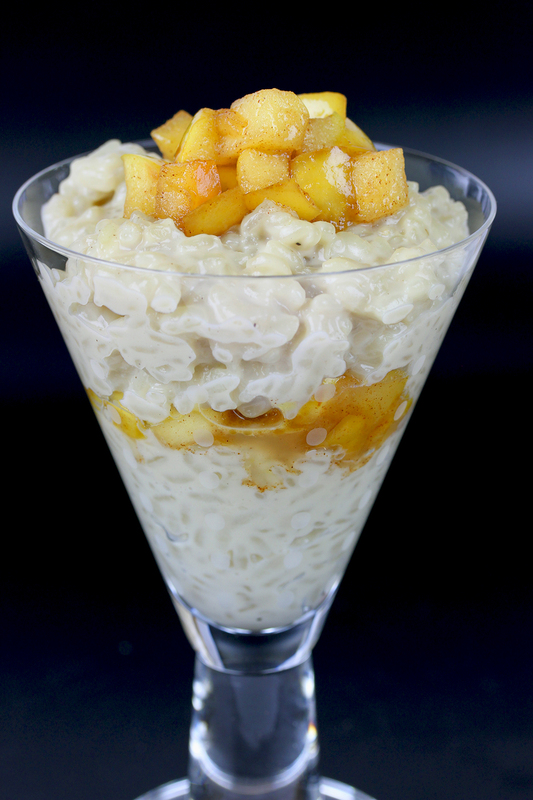 The rice pudding can be eaten warm or cold. 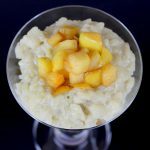 You may eat it plain, without the apple topping or stir in some other fresh or dried fruit, depending on your preferences. Try some cherries or strawberries, if you like. Bring non-dairy milk to a boil in a large, heavy saucepan. Add rice, sugar and vanilla, reduce heat to low and simmer for about 40 minutes, stirring occasionally, until rice is tender. Meanwhile melt butter in a saucepan, add apples, sugar, cinnamon and lemon juice and cook until apples are softened. Stir occasionally. When rice is ready, pour into individual serving dishes and spoon apple mixture over it. Sprinkle with cinnamon. Serve warm or cold.